It’s indie book review time!. 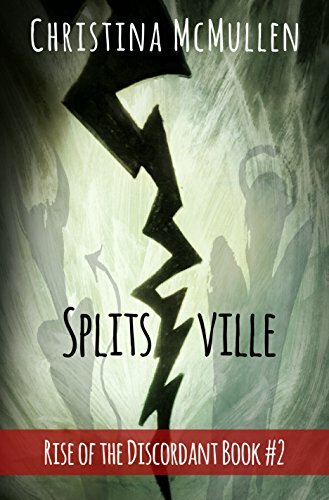 Find out what Jay thought of ‘Splitsville’, the second book in Christina McMullen’s ‘Rise of the Discordant’ series. (You can read his review of the first book in the series, ‘Past Life Strife’, by clicking here). It’s time for another indie book review!. 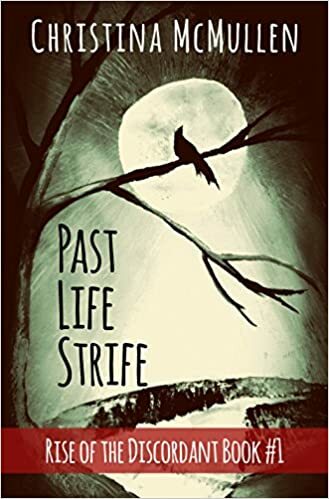 Read on and find out what Jay thought of Past Life Strife, the first book in Christina McMullen’s Rise of the Discordant series. ‘Past Life Strife’, by Christina McMullen, is the first book in the ‘Rise of the Discordant’ series. This is quite a beginning; welcome to Blackbird, indeed! It’s a town crawling with mysterious characters, many of them in the ‘highly unsavory’ category. Luckily, they have an Observer, to watch over the more mystical goings-on in town; Seth is a great guy, and he seems able to do a lot to help folks with the aid of his…wait, she’s gone? And what was her name again? And who’s this new guy? Oh, it’s Desmond; he’s awful cool…along with Bogie, a demon that seems pretty attached to the giant Warrior. Hmmm…how is this group ever going to sort out more trouble than they cause? With witches, maybe? 5 Indie Books You Need to Read Now! Today is Day 9 of the #IndieRoar 10 Day Challenge! The challenge – “You scream. I scream. We all scream for…your 5 all-time favorite Indie books! #IndieRoar”. So today I give you 5 indie books that you need to read this summer. I loved these books, and I’m pretty sure you will too! 1) Going Green by Christina McMullen – a hilarious take on everyone’s favorite topic, zombies. If you loved the movie “Zombieland”, then this book is right up your alley. 2) The Summer Solstice: Enchanted by K. K. Allen – the first book of a YA series, but so well written that even a 40ish-year-old guy can enjoy it. This book gets bonus points for incorporating Greek mythology into the story. 3) Red Written by P. T. Mayes – What happens when all of your sins are written on your body for everyone to see? This book has a great concept, and is a thrilling read. 4) The Wastelanders by Tim Hemlin – Okay, I haven’t had a chance to start this one yet (it’s next on my TBR list), but the premise is intriguing. And Tim is a pretty nice guy to boot. For more lists of indie book favorites, check out the #IndieRoar hashtag on Twitter, or follow my friends over at IndieBooksBeSeen. Pick up a new book and get reading!